Pre electric shave products are specifically formulated to improve the closeness and comfort of a dry shave while reducing the time it takes to complete it. They work by drying any moisture and oils from the skin, making the hairs stand straight to be easily captured by the shaver with fewer strokes. Pre shaves also provide a layer of lubrication and reduce razor burn. For most men, the addition of a pre shave will result in a better shaving experience, particularly when there’s still room for improvement. In this post we’ll take a close look at one of the most popular pre shaves currently available, Williams Lectric Shave, and see if it’s up to the hype. Introduced during the ’50s by the JB Williams Company, Williams Lectric Shave is one of the most iconic, successful and well-known pre electric shave lotions. It is currently manufactured by Combe Incorporated, the company that bought JB Williams in October 2002. The Williams trademark continued to be used even after the Combe Inc acquisition as the name had gained a lot of brand equity throughout the years, particularly in the USA. 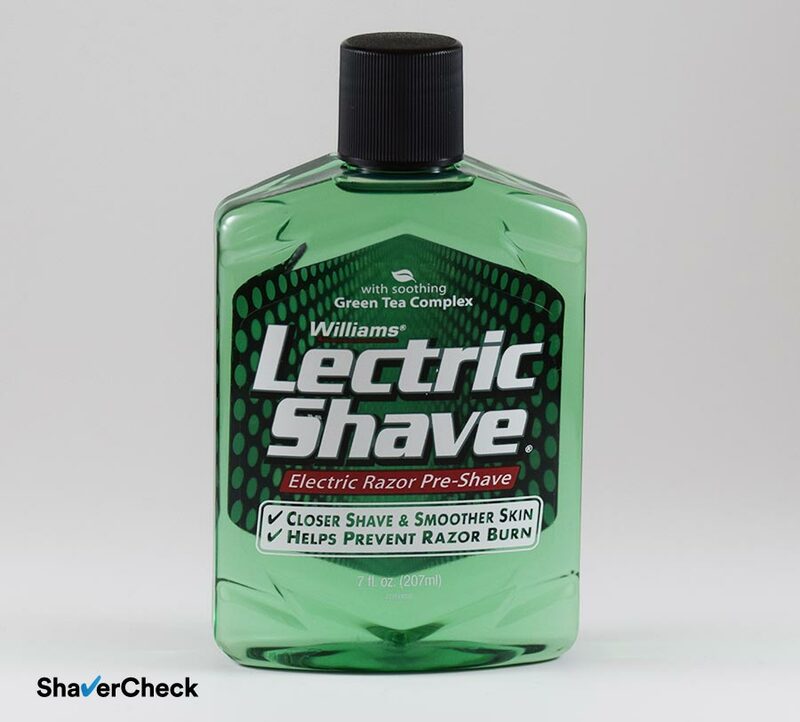 The Williams Lectric Shave is an alcohol-based pre electric shave splash. If you have very sensitive skin or a medical condition that prevents you from using any products that contain alcohol, you may want to skip this one and look at other pre shave options, like the Remington Face Saver powder. As a side note, I am blessed with dry and sensitive skin, but to my surprise, I had no issues using Lectric Shave or other alcohol-based pre-shaves. If you take a whiff straight from the bottle, the scent has that classic, old-school, barbershop vibe and you can definitely pick up the alcohol. Once applied to your face, it is a lot more subdued and the scent seems nicer. The boozy note is also less noticeable. In my opinion the scent is a lot better compared to another popular pre shave, Afta by Mennen. To my nose that one is off-putting and way too strong. The fragrance of the Lectric Shave is more discreet and fades quickly after completing your shave and rinsing your face with water. Does Williams Lectric Shave really work? I sometimes use shaving cream with my electric razors as a dry shave isn’t always a viable option for me. I don’t usually manage to get that close shave as in the case of a wet shave and the comfort is not great either. I can only get a decent dry shave with some Braun shavers, but again, with a trade-off in closeness. For this review I decided to test the Lectric Shave along with two electric razors. The first is a Panasonic Arc 4 ES-LF51-A, a reasonably priced mid-range shaver that can give a really close shave, but it’s usually too aggressive for sensitive skin out of the box. The second one is the Braun Series 5 5090cc, a dry only shaver that is very comfortable to use, but it’s not the closest shaving razor in this price category — definitely not as close as the Panasonic. So we have two shavers with different shortcomings when being used for a dry shave. This is an ideal scenario for finding out if the addition of a pre shave can improve the results. A prerequisite of a good dry shave is to have your skin as dry as possible. Any moisture will have a negative impact on the performance of your shaver and the closeness and comfort will suffer. That’s why one of the main purposes of a pre electric shave lotion is to dry any excess moisture, sweat and oils that exist naturally on the surface of the skin. Applying the Lectric Shave lotion is as straightforward as it gets: you simply splash it to your face and massage it into your beard, wait for 15 seconds or so for the solution to dry completely and then you can start shaving. To my surprise, it had a noticeable oily consistency after I applied it to my face. In turn, this made the skin feel very smooth, plump and slick. I was actually expecting dry and flaky because of the alcohol in it. Once I started shaving, the extra slickness really made a difference and the shaver glided on the skin smoothly. Without the use of a pre shave the razor would sometimes skip, drag or hop on the skin. The closeness was one of the best I got from a dry shave and the improvement was even more noticeable with the Braun Series 5, a razor that normally fails to match the closeness of other similarly priced razors from the competition. The Arc 4 from Panasonic is in my opinion the closest shaving electric razor that doesn’t have a prohibitive price, but sometimes when I use it dry it causes mild to nasty razor burn and irritation. However, when I used it along with Lectric Shave the post-shave soreness was barely noticeable; an overall massive improvement. In fact, a good pre shave might make me reconsider my shaving routine. The closeness wasn’t quite as good as in the case of a wet shave, but definitely close enough. Completing my shave also took less time compared to a normal dry shave. Because the hairs stand upright, fewer strokes are needed to get a clean, smooth shave and the razor seemed to cut the hairs with less effort. My face felt really good afterwards, but that oily sensation was still noticeable. I checked my shaver and it wasn’t clogged, so that’s definitely another plus for the Lectric Shave. I could still detect the scent, but it was very faint. Overall, the Williams Lectric Shave made a significant improvement to my dry shave and I highly recommend you to at least give it a try. In terms of value for money, Lectric Shaves scores pretty well. It comes in 3 or 7 oz. bottles and it’s reasonably priced. You can also buy it in bulk and save some money. You can find the Williams Lectric Shave at your local drug store ( although is getting more difficult to find), but the simplest way is to simply order it online. On Amazon you can find it in both the 3 and 7 oz variantions. I recommend going for the 7 oz bottle as the price per ounce is usually more convenient. The first obvious alternative would be Afta by Mennen. 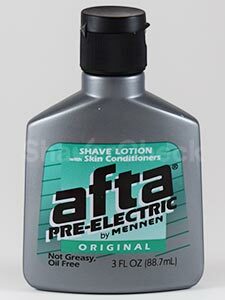 Afta is a pre electric shave gel, so it’s easier to apply. It also costs less than Williams Lectric Shave and it’s not that oily. However, I would still opt for Lectric shave as it does seem to work better, especially when it comes to closeness. Also, the scent of the Afta is too strong for my liking and the gel tends to gunk up the razor sometimes. 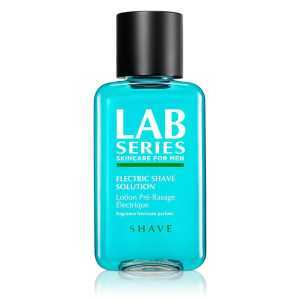 Lab Series Pre Electric Shave is another excellent product. The price is high compared to the other lotions, but it can be a viable option for men with allergies or sensitive skin as it is fragrance-free. Speick is a German family-owned company that has been making high-quality personal care products for men since the ’20s. Their pre-electric shave one is currently my personal favorite. It works at least as good as Lectric Shave, it smells better and it’s not oily. Home » Articles & Guides » Product spotlight » Williams Lectric Shave Electric Razor Pre Shave: Does It Really Work? Great article and review.I was shocked to find out exactly what I wanted to know! Thanx! Thank you for the kind words, Carey. Much appreciated! I echo the thoughts of Carey Stuart. I have just started to use Lectric Shave and also like the results. Darn well worth what I paid. I also use a Braun series 7 shaver and find an improvement using the Williams product. Ovidiu, I really appreciate your article and hope others will follow the trend of real journalism like you! Thanks!!! Thank you so much for your words of appreciation! I’m glad you found the article useful. I am a lot older than most of you (67) and I have used Lectric Shave for decades. I haven’t used a conventional razor since I was 16. Lectric Shave works better than anything I have ever tried. On a recent date about 5 hours after shaving, my girlfriend even said I smelled nice. I don’t use cologne. Here is something additional to know. I found out years ago that Lectric Shave has another hidded use. It makes sense when you look at the ingredients. Your wife or girlfriend calls you in to get ready for an important night out. You have just finished working on the car or whatever and your hands are stained with oil, grease, soot, whatever. Before you try to wash it off, use Lectric Shave to wash your hands. Just a splash like when you shave. Work it around well; then just wash your hands with your favorite soap. It really cuts the grease that leaves those stubborn stains on your fingers. A bit expensive to degrease your car, but saves a lot of time when you have to clean up in a hurry. My findings exactly. I wet shave and use a CVS clone, “Blade” Lectric Shave. It makes a significant differnce. I think that it is a great pre-shave treatment. I use the CVS clone too. Price is a little better and, to me, the fragrance is nicer and not as heavy as the Williams’ product. However, I’m having trouble finding it lately. I think CVS stopped making it. Is this your experience too? Will have to check other drug store chains. I think Rite Aid had their own version at one time and it was ok. I remember preferring the CVS one though. I work from home so sometimes I don’t need to shave. 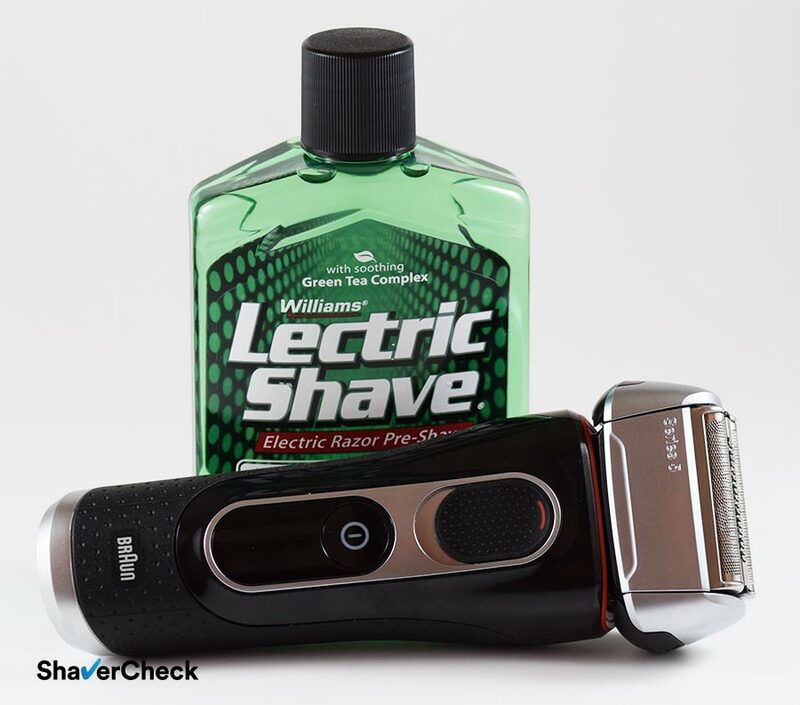 To save money on razors, I use ‘lectric shave to help un-curl my facial hairs. This prevents facial hairs from becoming ingrown or itchy. A daily application of ‘lectric shave works very nicely for this application. That’s actually very interesting, I never thought about using a pre-shave in this manner. But it makes sense — and if it also works as intended then by all means continue using it. does it have an out of date for electric shave .can not find out of date on bottle.bottle is several years old 3 to 4 yrs old. I couldn’t say anything with certainty, but I know that the Afta Pre-Electric for example (which is a similar alcohol-based pre-shave) has a two-year expiration date. I do not know how effective a 4-year-old product would be or if it poses any risks. My advice would be to get a fresh bottle. Ovidiu, thank you for the good review. I’ve been using Lectric Shave for 40 years now. QUESTION: We’ve started noticing that Walmart is not carrying Lectric Shave anymore. Also, CVS and Walgreen no longer carry their generic versions, making Lectric Shave higher priced than before when you can find it. Is there something going on in the Pre-Electric Shave Lotion world that it is losing popularity and retailers are starting to not carry this product? Thank you for your comment, Brett. It would be difficult to pinpoint the cause precisely, but I think it may have something to do with people buying pretty much everything online nowadays. This has clearly affected physical stores. I doubt that the actual demand for pre-electric lotions has gone down all of a sudden. As you also mentioned, the worst part about it (for us, the consumers) is the price increase. Been using it for @40 years too. Now all of a sudden I can’t find the stuff anymore. You can still buy it online from Amazon or ebay. I use it before I blade shave with a bic razor. The smell is clean like a 1950’s barber shop smell. Manly yes, but oh the ladies love it. Thank you for your comment, Charles. I personally don’t care too much about the smell, but I definitely don’t hate it. It’s great that the ladies around you love it — my lady for example can’t stand it. Since I started shaving some 40 years ago, I have been a blade only kind of person. However, I was recently diagnosed with Parkinson’s so I was thinking that sliding a sharp razor across my face while having tremors may not be such a good idea anymore. I bought what I was told to be the gold standard in electric razors – A Wahl finale, 5 star. Not a good experience, every week I had to chance it with a blade to get what I missed the past week. so I thought I’d try Lectric Shave – And I am a believer! It really works – my shave is now almost as good as my blade was – and with no razor burn. Thank you for taking the time to share your experience. It really is a great product that can make big difference. If I use a pre shave lotion while shaving with my Braun Series 9 razor, is it still safe for me to clean my Braun razor on the clean and charge station? I ask because I know that I’m not supposed to use shaving cream when cleaning with the Braun clean and charge station. Please let me know. Thanks. Yes, that should still be safe. An alcohol-based pre-shave lotion dries is a matter of seconds once applied to the face and usually doesn’t leave behind any residues (with the exception of Afta by Mennen, that one gums up, so I don’t recommend it). After dry shaving for several years the blades needed replacement. So the guy at the shop installed the new blades (since what I had bought were knock-offs..ugh) and sprayed it with something that reminded me of William’s Lectric Shave. Right then I knew to run to the grocery store where I bought a bottle and have been happy ever since. The shave is closer, I smell better and the shaver smells better as well. That’s great, Jerry! Thank you for taking the time to share your experience. I have just recently started using your techniques because I have coarse hair and sensitive skin but I am still in the intro stage. I got a Braun series 7, Lectric shave and I ended up going for The Art of Shaving After Shave Balm because its unscented. I am still giving my skin time to adjust to the new shaver and pre/post treatment products so its not perfect yet but it’s getting there. I do want to try the Wet shave at some point but for now my routine has always been to shave after the shower. After reading your articles again I noticed that I should be shaving prior to the shower. So my question is when should I apply the aftershave balm? Directly after the shave or after my shower? Will the Lectric shave dry up the potential grease on your face from a nights sleep? Any other tips you may have would be greatly appreciated as I want to come out of this with good feeling skin post shave. Thanks for all your articles and shaving guides! Thank you for your comment. That’s actually a great question. It’s highly recommended that you don’t shower or wash your face right before a dry shave. So you should apply the pre-shave of your choice, shave, shower, wash your face with cold water and then apply the aftershave balm. Also, avoid splashing your face with warm/hot water during your shower, I always get a rash when I do that. An alcohol-based pre-shave should take care of any excess grease/oils. 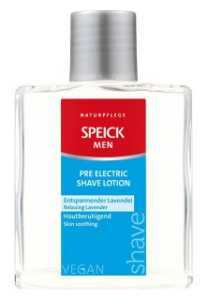 And speaking of pre-shaves, I find Lectric Shave a bit too oily for my liking, so I prefer using the pre-shave lotion from Speick. If you can get it, I highly recommended it. After reading your reviews (and a few others) about the ARC 5, decided to finally end the use of rotary shavers (always leaving my neck with the looks of a burning torch…), and give it a try to a foil one. Paired the Arc 5 with the Williams Lectric, and have been very satisfied. Just one simple question: Do you think the ventilated 15 seconds are really enough time to get the hair to stand up vertically, or it would be an advantage to hold a few 15/30 seconds more? The hairs will begin to stand straight the moment you start massaging the lotion into your beard (make sure to work it in really well). The recommended 15 seconds are meant to allow the solution to evaporate so that your skin will be perfectly dry when you start shaving. So if after 15 seconds the skin is dry, you can go right ahead and start shaving. You should only wait for more (another 15 seconds or so) if your skin is not completely dry. I’m writing all the way from Israel to let you know how much this site has helped me transition from blade to electric shaving. Following your advice I bought a Braun Series 7 and was content with the closeness of the shave already, but today I used Williams Lectric Shave (shipped all the way from Amazon US! Couldn’t find anything similar locally) for the first time and was excited to see even better results! Got a much closer shave, especially in the neck area, took a lot less time than usual, and had to work a lot less against the skin. I disliked my razor so much that I shaved once a week at best, but now I’m happily shaving 4 times a week. My wife is obviously very happy with this turn of events. So really, thank you for this website and for sharing your knowledge on this subject. Thank you so much for the kind words and for taking the time to share your shaving journey. I’m glad you found the information useful and you now enjoy shaving with your Series 7. I am humbled and truly appreciate your comment. thank you for the excellent written review. You should review more products. Your writing skills are concise and to the point. Thank you, Ronald, much appreciated. More reviews to follow.